There’s a relatively new and growing player in the vehicle history and inspection space that offers details on prior repairs and existing damage a vehicle’s exterior body, while also verifying structural soundness of the car. TrueFrame — which launched in 2014 and is now available in nearly 20 markets, with more to come this year — works with Carfax and AutoCheck, and its inspection report data designed to complement the vehicle history information provided by those companies. TrueFrame president Ben Puckett said his company aims to let the consumer know the extent of a car’s accident (if one appears on the history report), the severity of the damage, whether or not the car is structurally sound and what work has or needs to be done. Is the vehicle structurally sound? 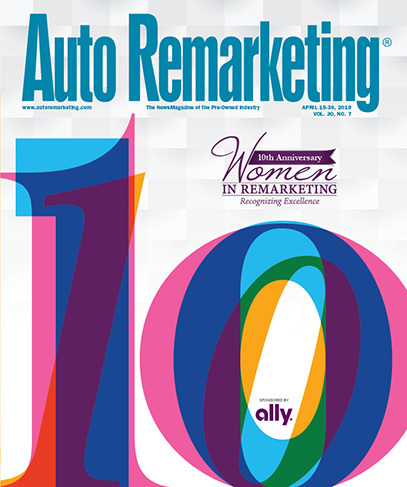 Auto Remarketing talked with Puckett in January about the company’s growth plans, possible moves in the auction market and more. As it stands, Puckett said TrueFrame is in 17 or 18 markets (depending on how a market is defined, he said) and has a few areas targeted for 2015, including Minneapolis, Philadelphia, Dallas, Houston and San Antonio. With last year being a launch and significant growth year, there’s definitely been some reaction and feedback from dealers. Puckett said it basically boils down to two responses. “One is, a lot of dealers don’t necessarily understand what we do and what we offer, because it’s new. It’s not like something else that’s been offered before; it’s not a service that’s been out there before,” he said. “But then the second reaction — the kind of real positive one — has been that dealers find it makes a car much more likely to be retailed, as opposed to a car that’s been in an accident, it has an accident on its Carfax or AutoCheck report, but doesn’t have a TrueFrame. And a lot of those cars don’t get retailed at all; they end up having to be wholesaled or (sent) to another dealer,” he continued. Puckett said the company has found that dealers are often telling them there are three key benefits to using the service: first, they’re able to retail the car in the first place; two, they’re going to sell it faster; and three, they’re likely to earn more money on the car. With a TrueFrame report, he says, it can help dealers reassure the customer that a car that was in an accident may still be a solid vehicle. For instance, say a dealer has a new-car deal in the works with a trade-in that has been in an accident. Having the damage details and other information that TrueFrame provides allows the dealer to potentially offer more on the trade-in, thus increasing the likelihood the new-car sale happens. As mentioned earlier, TrueFrame work with both Carfax and AutoCheck to help supplement reports that already exist via those two companies. Those companies — although they each use it differently, Puckett said — have that data integrated into their vehicle history reports, which he said can give more context to an accident. Though it’s not currently used in the wholesale arena, TrueFrame was actually first beta-tested in the auction environment and has plans to move back there in the future. However, the company was not quite ready to move TrueFrame “that far upstream with it at the auction level,” Puckett said, because A) the tool was not integrated with Carfax at that point and was just a standalone inspection offering, and B) TrueFrame wanted to educate dealers further about how the offering could benefit them on the retail side.